Tamanu Oil (the sacred oil of Tahiti) has gained the world's attention due to a combination of effective use in traditional settings and scientific research supporting its traditional uses. 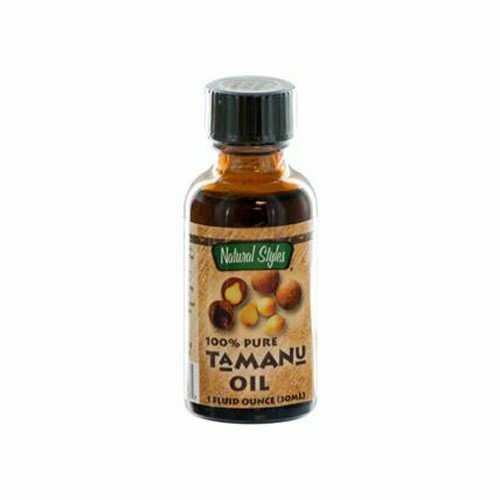 Natural Styles produces and sells only pure, unadulterated Tamanu Oil. Tamanu Oil has anti-inflammatory activity. This activity is due partly to the 4-phenyl coumarin calophyllolide [Bhalla, T.N. et al. Calophyllolide: a new anti-inflammatory agent. Indian J. Med. Res. November, 1980; 72: 762-5] and a group of xanthones in the oil. All the xanthones in tamanu Oil show anti-inflammatory activity, which makes it effective for rashes, sores, swellings and abrasions. Tamanu Oil also possesses a unique capacity to promote the formation of new tissue, thereby accelerating wound healing and the growth of healthy skin. This process is known as cicatrization. For this reason, it is a widely used traditional topical aid and can also be used for burns. Apply a few drops of Tamanu Oil to the skin with your fingers. Very little Tamanu Oil is needed as it takes just a few drops to cover the affected skin area. Gently rub it into your skin. It penetrates very quickly to the lower skin layers and leaves no oily shine. You may notice its mild, nutty fragrance which will dissipate rapidly. When used as a cosmetic moisturizer, it is recommended that you first thoroughly cleanse your face, hands or other skin areas, then apply a few drops of Tamanu Oil to your hands and massage the oil into your skin. For use as a natural nightly moisturizer, wash your face to remove all other substances. Leave your face and hands damp. Put 2 to 3 drops of Tamanu Oil in your hands and rub together to spread the oil. Then rub your hands on your face skin and massage the oil into your skin - being careful not to get the oil in your eyes or mouth. Tahitian women also apply a few drops of Tamanu Oil to their hair after shampooing. It adds an attractive, natural sheen to the hair.